In colder weather, you can’t beat a traditional roll neck and we think this garment from Glenmuir is a great winter wardrobe option. A 100% cotton roll neck with long sleeves and ribbed cuffs, the Lewis is a perfect under-layer on colder days through the winter. Supremely comfortable, it's also lightweight and breathable. 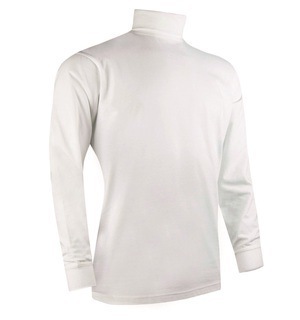 If you're looking for a warm and comfortable under-layer for colder weather this garment is perfect. Come by the shop and try one. We're confident you'll be impressed by the feel and comfort.